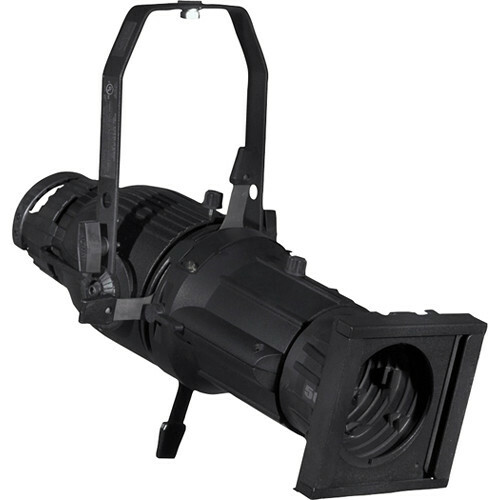 This white Phoenix 150W RGBA LED Profile 19° Spot Light from Altman is a fixed focus luminaire. It is designed and engineered with a number of innovative details and features, enhancing versatility and efficiency without sacrificing performance. Fully locking shutters, and a 360° barrel help keep your fixture's focus intact and easy to attain. This model features a RGBA LED array with a 19° lens for a variety of different colored lighting effects with the red, green, blue, and amber LEDs. Also, the 150W is convection cooled for quiet operation.